A pocket sized pack of 10 soft 3-ply tissues with a printed label. Battle your cold or flu with some of these pocket sized promotional tissue packs. Perfect to have when you have a stuffy nose or just require a tissue and they easily fit into your pockets and bag. 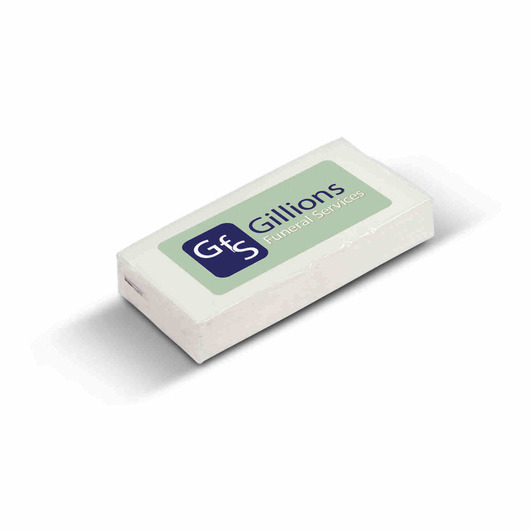 Each contains 10 soft 3-ply paper tissues with their own unlimited colour digital label.